Integrity of workmanship provides peace of mind. Our skilled craftsmen take great care in producing furniture with value and lifetime quality. 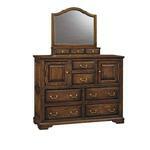 The Amish Coventry Dressing Chest comes with a lifetime warranty! 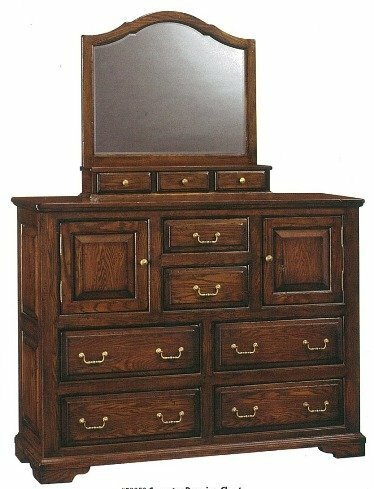 The Coventry Dressing Chest is completely handcrafted, in the USA, using only high quality, locally grown, solid American hardwoods! The drawers on the Coventry Dressing Chest come standard with dovetailed joints. Drawer boxes are crafted from natural red oak, while the integrated drawer front will match the case. Furthermore, drawers are finished back and bottom to prevent warping and ensure a lifetime of trouble-free service. Even more, all drawers come standard with full-extension, soft-close drawer slides! Additionally, each Dressing Chest is crafted to order, to your exact specification, so your nightstand will be tailored to meet your individual design needs. Call today toll-free to discuss custom options or to begin an order. For the convenience of our customers, DutchCrafters has a highly experienced furniture specialists on-call 5 days a week. Our furniture specialists work with designers, business owners, and home owners alike on a daily basis, so don't hesitate. 1-866-272-6773.